According to Spanish site Mundo Deportivo, Tottenham had a £45m bid for Ajax midfielder Frenkie De Jong rejected during the summer, but boss Mauricio Pochettino must go back in for the talented 21-year-old either in January or next summer to add to the growing contingent of former Ajax players who have made successful moves to the Lilywhites. Ajax signed De Jong from the youth academy of fellow Dutch side Willem II in the summer of 2015, but the youngster returned to his former side for the first half of the following season, making three senior appearances for the club in total despite his young age. After spending the second half of that campaign with Ajax’s U21 side, De Jong was promoted to the first team set up in 2016. The box-to-box midfielder made four Eredivisie appearances across the course of the following season but crucially also played four times in the Europa League (including a substitute cameo against Manchester United in the final) and three times in the Dutch cup for the side who are famed for bringing through young talent and offering chances to players at a young age. The Dutchman has now racked up an impressive 47 appearances for the Eridivisie giants and has chipped in with two goals and nine assists during that time, despite often operating from a deeper midfield position where he relishes the space that can be utilised. 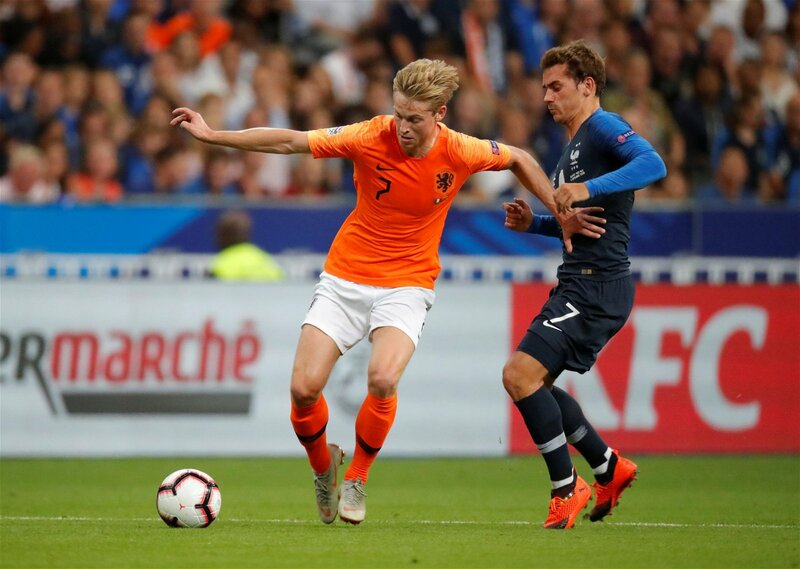 De Jong, who made his international debut under Ronald Koeman last week, would be an excellent signing for Spurs especially as midfield stalwart Mousa Dembele is desperate to leave the club, as Football FanCast exclusively revealed earlier this summer. Tottenham also have recent history of shopping at Ajax and on all occasions it would be fair to say that it has been an unmitigated success. When Andre Villas-Boas was in charge in 2012, he made the first of the signings from the Dutch club in the form of centre-back Jan Vertonghen. The Belgian has since gone on to be one of Tottenham’s most important players, making 256 appearances in all competitions during his six years and counting in North London. Just a year later, Danish attacking midfielder Christian Eriksen signed for Spurs in a bargain £11.5m deal while he too was just 21-years-old as De Jong is now. Behind Harry Kane, it could be argued that Eriksen is now Tottenham’s most important player and his 56 goals and 70 assists in 230 games for the club represent an incredible return on the investment. Although Toby Alderweireld also came through the ranks at Ajax, and has been a huge success at Spurs, he signed from Atletico Madrid in 2015 following a season-long loan at Southampton so didn’t follow the same exact route that Tottenham fans will be hoping De Jong does. However, fellow centre-back Davinson Sanchez made the move in 2017 and the 22-year-old looks as though he could be a fixture in the Spurs side for years to come, justifying the club-record £42m fee. If these past signings prove anything it’s that Spurs must make De Jong their new club-record signing soon by upping their bid in the next transfer window, or they could risk missing out on another huge talent.